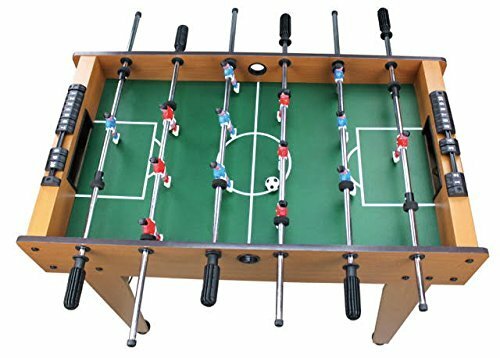 A 36" Foosball Table features brightly colored, detailed players that make up the two teams on easily to play rods. The Rods have Grip-friendly handles that allow of hours of fun with friends. If you have any questions about this product by Real Wood Games, contact us by completing and submitting the form below. If you are looking for a specif part number, please include it with your message.